Founded in May 2006, the China Energy Label Center (CELC) is responsible for CEL classification and it is part of the China Standard Certification Center (CSC). The CELC is under the control of the National Development and Reform Commission (NDRC), the General Administration of Quality Supervision, Inspection and Quarantine (AQSIQ) and the Certification and Accreditation Administration (CNCA). 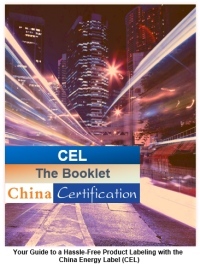 The CELC is in charge of all issues concerning CEL certification.With a presence in China since 2005, we have built long-standing relationships with the Chinese authorities and are optimally positioned to offer the best consultancy and service. Furthermore, our subsidiaries in Beijing, Shanghai and Chicago enable us to give assistance to customers around the globe under our efficient, competent guidance. We are an expert especially in the automotive industry and we have gained full experience in CEL for motors and CCC Certification.China Certification boasts premium service performance and guarantees transparency and expertise throughout all CEL China Certification processes. Please send us an email to see how we can assist you.